Darmichar had the most liked content! So, is that long winded missive a yes or a no? My boat, fully equipped and fueled weighs around #7,000. 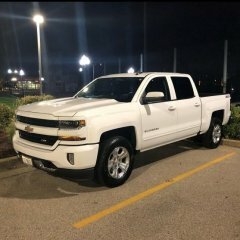 I pulled it with my 2014 5.3L 3.08 400+ miles running 75MPH through the hills of Kentucky with no issues whatsoever. I was under my truck 2 weekends ago and mine were starting to look pretty crusty, too. Nevermind, I'm an idiot. Thought you said you went to a local shop, not the dealer. I haven't had the chance to test the 2018 yet. In my 2014, regardless of what I did, pulling boats, pulling trailers, fast driving, slow driving, it always ran down to 7500 miles. I pulled a 7,000lb boat with my 3.08 2014 5.3L with zero issues. If I wasn't leadfooting it I could usually stay around 11-14MPG with it too. Alternately, when I towed my 3,500lb pontoon that sat about 4-6 feet above the truck, it pulled it well but got horrible MPG's (7-10). I think you mean https://www.theantennasource.com/ The site you 'link' to looks a little shady. 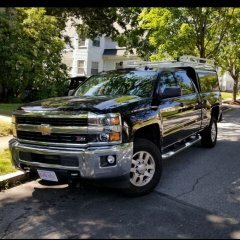 Go to a site that sells running boards and find a set that fits your truck. Put in your friend's truck specs and see if the same part number for the same boards comes up. I've had both OE setups, the black Tenneco's on my 2014 and now the Rancho's on my 2018, both leave a lot to be desired. I'm sure it's already been said, but I'm here to say it again: 1. Garbage shocks - Why they continue to use these marshmallows is beyond me. 2. The fact that I have to put my truck in Trailer mode every time I get in it to have a transmission that shifts the way it should. 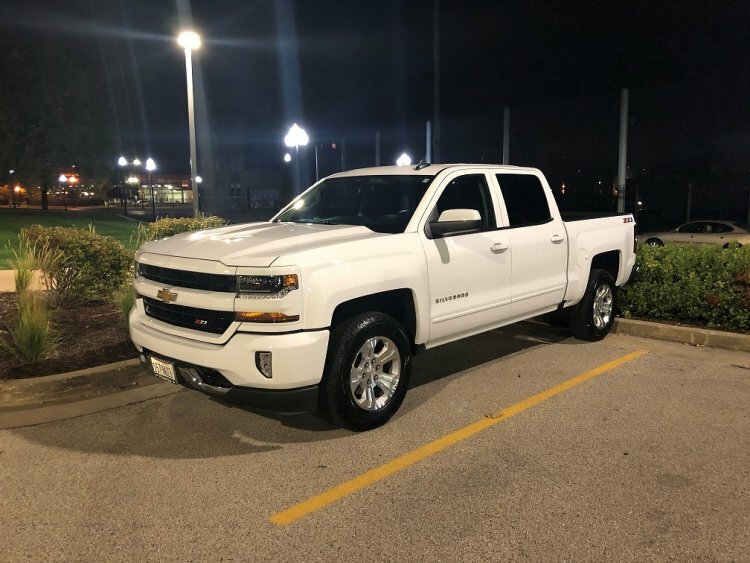 Other than that, I traded in a 2014 for a 2018 to get the truck I wanted and I'm happy with it. That's the thread you want. Lots of info in there. Check the connection and conductivity of the negative battery cable. Sounds like electrical gremlins and that's where they usually start. Also, being a 2014 your battery is probably nearing end of life as well. Wireless carplay is Wi-Fi, not bluetooth. BT is used to authenticate the connection and 'handshake', then it switches to a Wi-Fi connection for more bandwidth.